Max Moreau received much of his artistic education from his father Henry Moreau. At the Musée Royal des Beaux-Arts in Brussels Moreau studied under Hals and Vélasquexz before traveling in Tunisia where he drew much of his inspiration. Moreau lived in France during WWII and in 1947 left for Marrekech where he spent three years. Moreau returned to reside in France in 1950 though he continued to travel extensively through the Bahamas, United States, Spain and Portugal. writing poetry, theatre pieces and composing music. He is best known for his celebrity portraits of Jules Romains, Bernanons, Paul Robert, Michel Simon and Anthony Quinn in addition to many others. 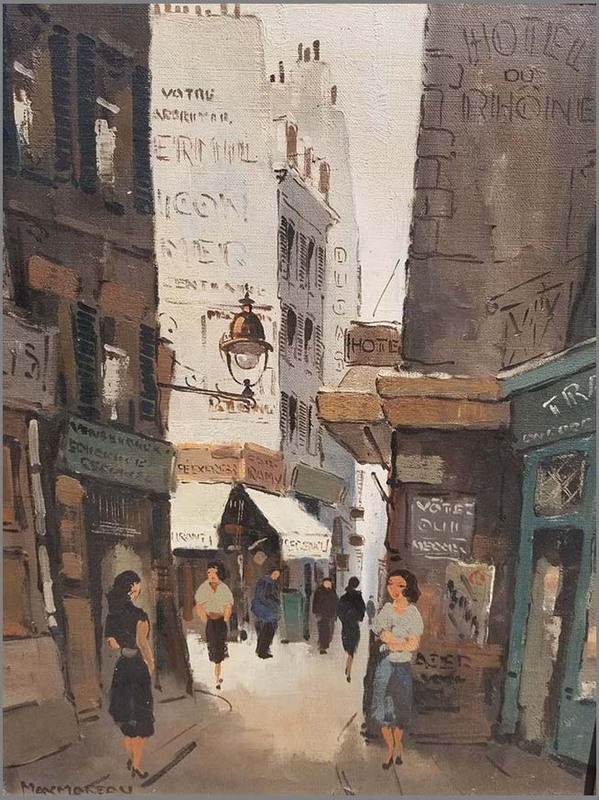 He exhibited his portraits, figures and still lifes in Tunisia, Algiers, Casablanca, Brussels, Arlon, Charleroi, Anvers and Luxemborg. There is now a Max Moreau Museum in Granada and his works can be viewed in museums in Luxemborg, Nimes, Tournai, and Tunis.